Virginias Vintage Hire came to us wanting to increase their internet presence in order to grow their vintage wedding hire business. Initially they wanted us to maintian the look of their first site, but improve how it ranked on the search engines. It was built in flash and hadn’t been optimised for iPads and iPhones. The optimisation of the site was very effective and led to the business growing quickly which attached more corporate clients. This in turn led to a change of branding of the business, aiming towards more corporate, UK wide clients. We have a series of assets provided to us by Logo Design, which we used to develop a new site built in wordpress. When we first worked with Ginny we initially started by building a fairly basic site with less than 10 pages. The aim was to maintain the look and feel of her original site, but to further develop the optimisation to help them grow the business. 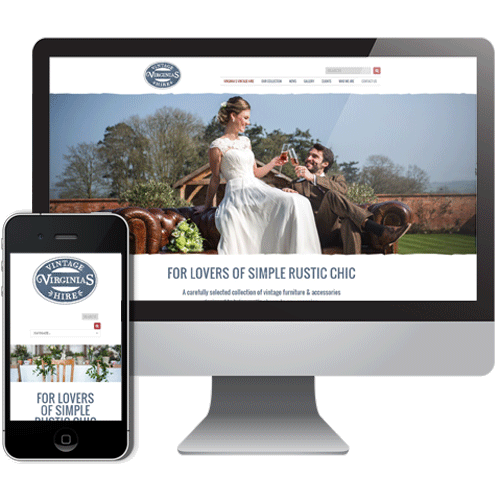 We have since built two WordPress sites for Virginias Vintage Hire which are both responsive for mobile devices. We worked alongside the graphic designer to incorporate the new logo and branding in to the sites. The main Virginia Vintage Hire site is now around 200 pages and continues grow. We provide ongoing site management and search engine optimisation and are proud to be helping the business grow. Top 2 Tow are tow bar fitting specialists based in Bideford, North Devon. They also provide mobile caravan, trailer and motorhome servicing throughout North Devon. When we started working with them they had a sufficient web presence for the tow bar fitting side of their business, but had very little reference to Caravan Servicing. Their website contained a good level of information, but was becoming a bit tired and was not fully optimised to reach all of their target markets. 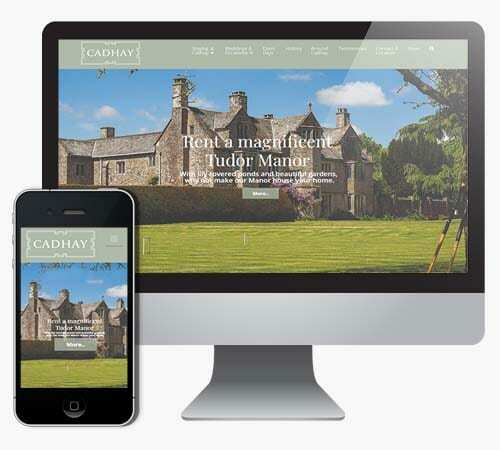 We rationalised their online content – from improving website navigation, to rewriting the copy and making sure that it provided a comprehensive representation of their services. 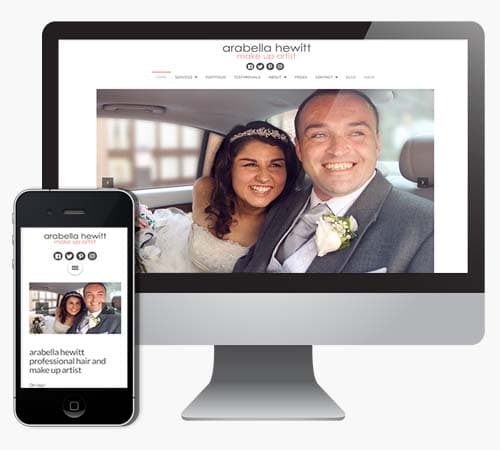 Arabella got in touch following a refferal from another client. Like many of our recent clients her site lacked visibilty on Google and the other search engines and wasn’t fully mobile responsive. She wanted to rank higher for relevant search times in order to increase the number of enquiries her website was generating. There wasn’t much optimisation on her current site as it was mainly pictured led. We decided it would be best to rebuild her site in WordPress keeping the layout as close to the current site as possible, but whilst introducing further relevant copy and other assets through the site. This helped to improve the user experience and also helped to improve the optimisation of the site.